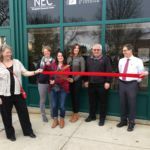 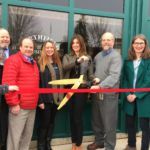 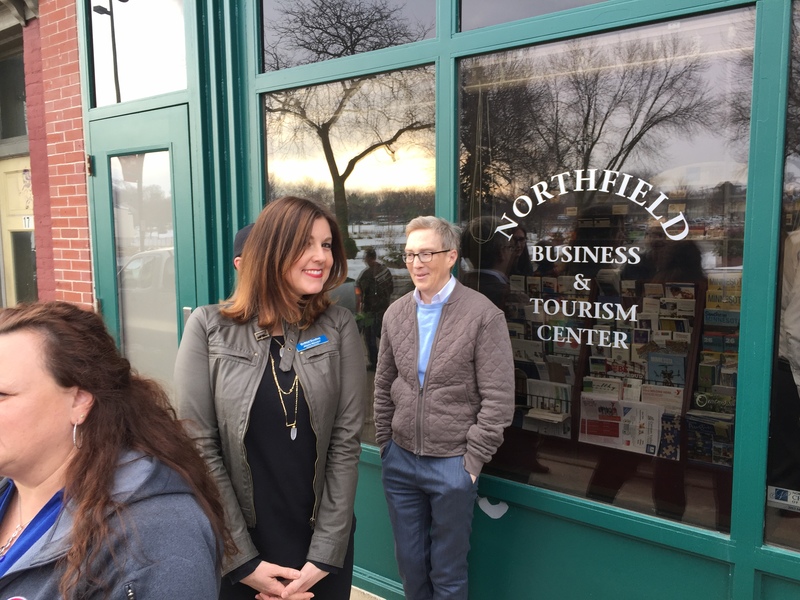 A long-time goal shared by many in the Northfield business community was recently celebrated at 19 Bridge Square. 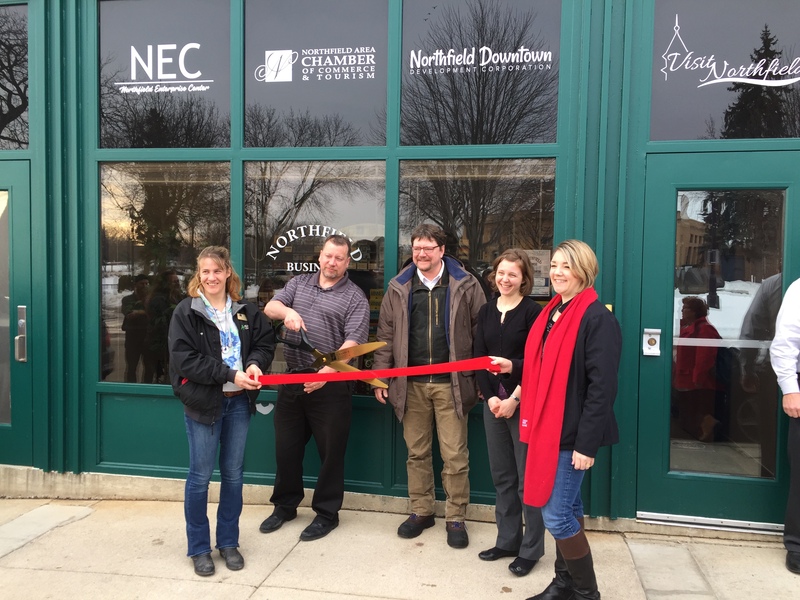 That’s the home of the new Northfield Business & Tourism Center. 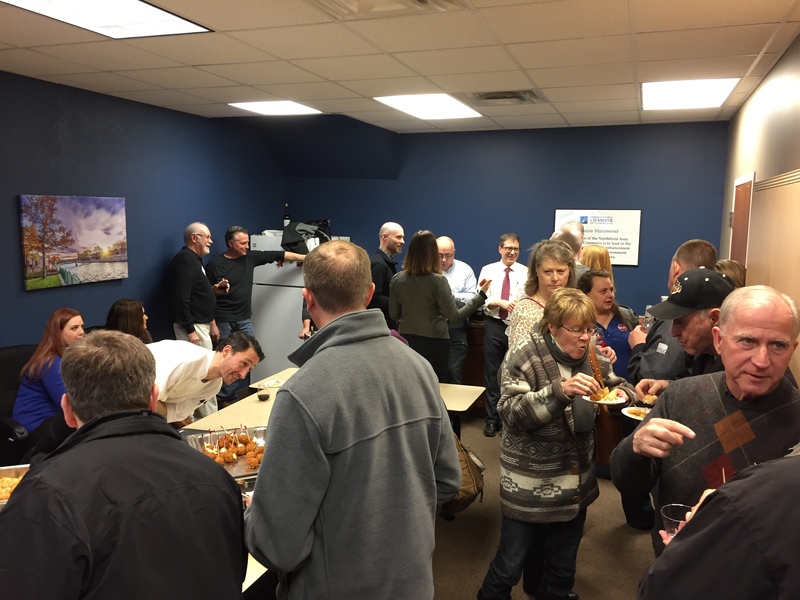 Tuesday, February 27, was the Grand Opening party in the new space. 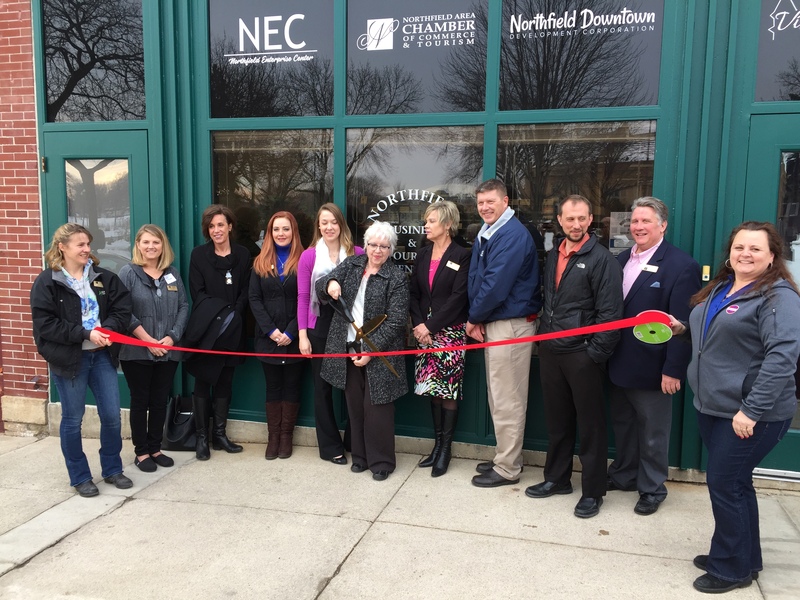 Nearly 200 people attended the special event and enjoyed great food and beverages served by the staff of the Ole Store Restaurant, The Tavern of Northfield, and the Grand Event Center. 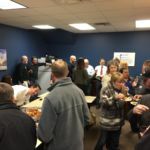 Thanks to proprietor Chuck Prior and Chef Olivier for the wonderful spread! 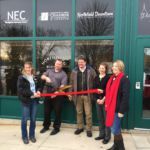 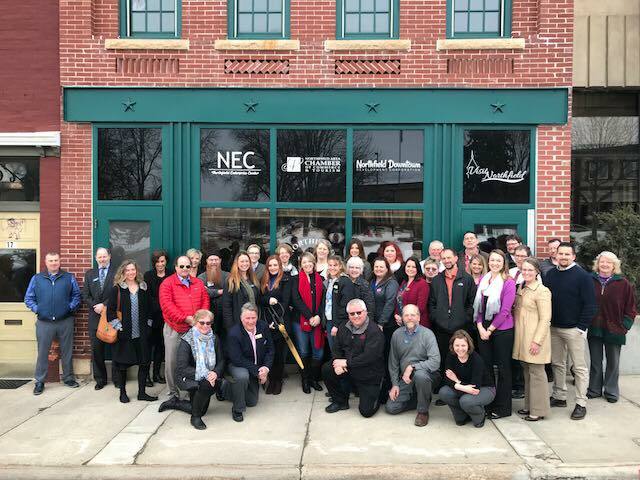 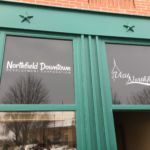 The Northfield Business & Tourism Center houses the offices of the Northfield Chamber of Commerce and Tourism, the Northfield Convention and Visitors Bureau, Visit Northfield, the Northfield Downtown Development Corporation, Downtown Northfield MN and the Northfield Enterprise Center. 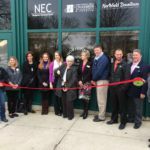 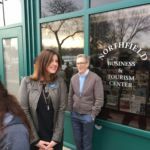 It’s a one-stop shop for anyone looking for information or networking opportunities in the Northfield business community. 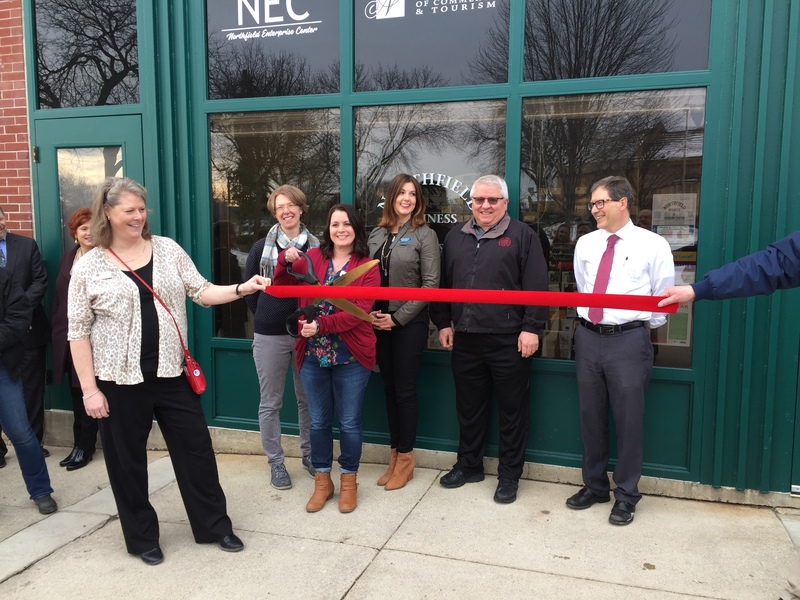 The space is also the new home of the Visitor Information Center, a resource containing brochures, maps, visitor guides, business cards and many other publications for visitors. 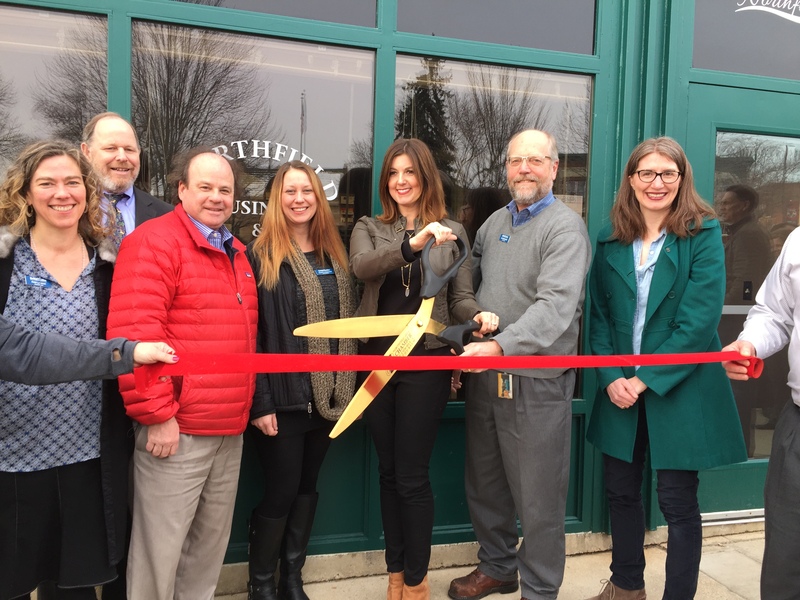 This resource is open 24/7/365. 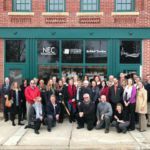 Businesses and organizations that have marketing material like this are welcome to leave it at the center for self-service distribution. 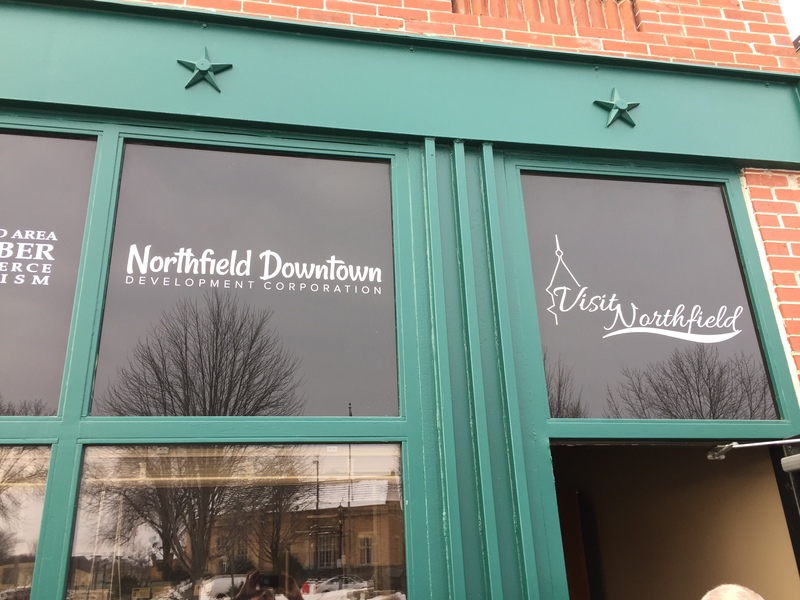 Please see the staff during business hours if you have questions. 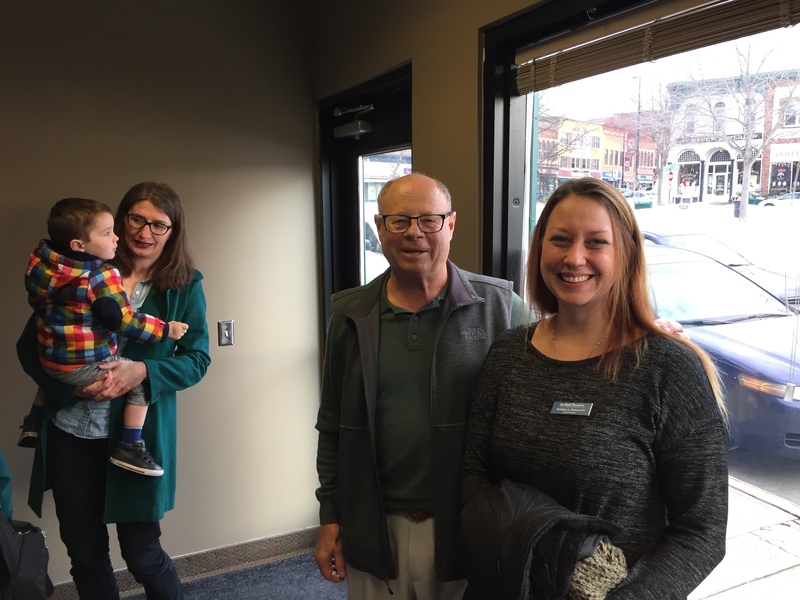 Stop by the new suite of offices soon and say hi to Todd, Lisa, Jenni and Chris. 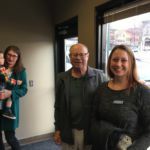 They look forward to seeing you!